Richard Grenell, the U.S. Ambassador to Germany, slammed Democrat presidential hopeful Pete Buttigieg’s recent attacks on Vice President Mike Pence, likening the homosexual mayor’s conduct to that of Jussie Smollett. 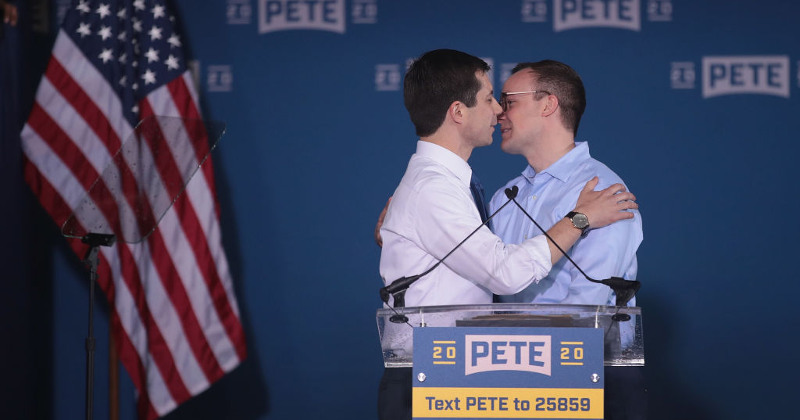 Grenell, who is also gay, took issue with Buttigieg’s incendiary targeting of Pence over his Christian faith and supposed anti-LGBT positions, asserting that the vice president and his wife have always treated Grenell and his partner with nothing but kindness and respect. Grenell also pointed out that Pence has always spoken highly of Buttigieg, including when both held public office in the state of Indiana, as governor and as mayor of South Bend, respectively. DNA Force Plus is running out of stock, so get some today before it’s gone! 20% Off! Bernie Sanders appears to be okay with possible physical attacks on Kaitlin Bennett due to his rhetoric and characterization of Kaitlin and Infowars.